Cities: Capital — Kyiv (also transliterated as Kiev, pop. 2.8 million). Other cities — Kharkiv, Dnipropetrovsk, Donetsk, Odesa, Lviv. Nationality: Noun: Ukrainian(s); adjective — Ukrainian. Ethnic groups: Ukrainians, Russians, Belarusians, Moldovans, Bulgarians, Hungarians, Romanians, Jews, Poles, Crimean Tatars, and other groups. Religions: Ukrainian Orthodoxy, Ukrainian Greek Catholicism, Protestantism, Judaism, Roman Catholicism, Islam, others. Health: Infant mortality rate: 8.73/1,000; life expectancy — 62.56 years males, 74.74 years females. Work force: 20.2 million. Industry: 18.5%; agriculture — 15.8%; services — 65.7%. Branches: Executive: president, prime minister, cabinet. Legislative — 450-member unicameral parliament, the Verkhovna Rada (members elected to 5-year terms from party lists by proportional vote). Judicial — Supreme Court, Courts of Appeal, local courts, and Constitutional Court. Administrative subdivisions: 24 provinces (oblasts), Crimean autonomous republic, and two cities with special status — Kyiv and Sevastopol. Purchasing power parity GDP (2010 est. ): $306.3 billion. Nominal GDP (2010 est. ): $136.8 billion. Annual growth rate (2010 est. ): 4.3%. PPP per capita GDP (2010 est. ): $6,698. Nominal per capita GDP (2010 est. ): $3,010. Natural resources: Vast fertile lands, coal, iron ore, various large mineral deposits, timber. Agriculture: Products: Grain, sugar beets, sunflower seeds, vegetables/legumes, beef, and milk. Industry: Types: Coal, electric power, ferrous and nonferrous metals, machinery and transport equipment, chemicals, and food processing. Trade (2010): Exports of goods: $51.43 billion: ferrous and nonferrous metals, fuel and petroleum products, chemicals, machinery and transport equipment, and food products. Imports — $60.73 billion: energy, machinery and equipment, and chemicals. Trade (2011, first 9 months): Exports of goods — $49.95 billion; imports of goods — $59.49 billion. The population of Ukraine is about 45.8 million. Ethnic Ukrainians make up approximately 78% of the total; ethnic Russians number about 17%, ethnic Belarusians number about 0.6%. The industrial regions in the east and southeast are the most heavily populated, and the population is about 69% urban. Ukrainian and Russian are the principal languages. Although Russian is very widely spoken, in the 2001 census (the latest official figures) 85.2% of the ethnic Ukrainian population identified Ukrainian as their native language. There are also small Crimean Tatar and Hellenic minorities; the former is mainly in Crimea, and the latter in the Donetsk region. The dominant religions are the Ukrainian Orthodox Church and the Ukrainian Greek Catholic Church (which practices Orthodox rites but recognizes the Roman Catholic Pope as head of the Church). The Ukrainian Orthodox Church Moscow Patriarchate has the largest following, with significant presence in all regions of the country except for the western oblasts of Ivano-Frankivsk, Lviv, and Ternopil. The second-largest Orthodox group is the Ukrainian Orthodox Church of the Kyiv Patriarchate, with most followers located in western and some central oblasts. The Kyiv Patriarchate was established after Ukrainian independence and declared full independence from Moscow. The Ukrainian Autocephalous Orthodox Church is the smallest of the three Orthodox churches, and approximately 70% of its adherents are in the western part of the country. The Russian Old Rite Orthodox Church and smaller Orthodox groups also operate within Ukraine. About 27% of the country's religious communities are Protestant. 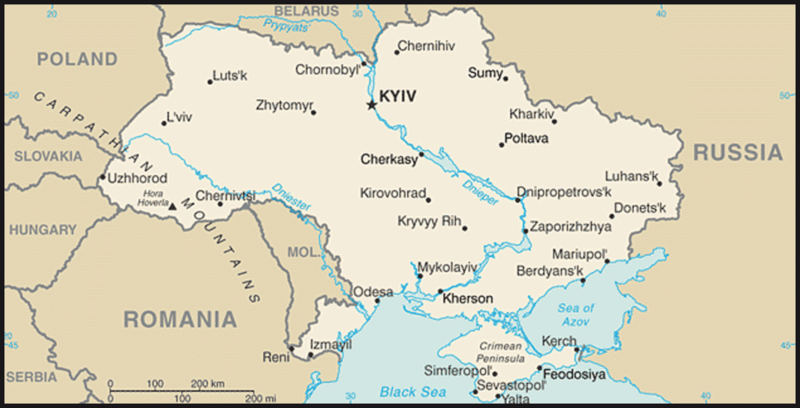 The Evangelical Baptist Union of Ukraine is the largest Protestant group. Other Protestant communities include Pentecostals, Seventh-day Adventists, Lutherans, Anglicans, Calvinists, Methodists, and Presbyterians. Other religious groups include Jews, Jehovah's Witnesses, members of The Church of Jesus Christ of Latter-day Saints (Mormons), Buddhists, and adherents of Krishna Consciousness. About 70% of adult Ukrainians have a secondary or higher education. Ukraine has about 900 colleges and universities, of which the most important are in Kyiv, Lviv, and Kharkiv. There are about 90,000 scholars in 1,300 scientific research and development institutes. The first identifiable groups to populate what is now Ukraine were Cimmerians, Scythians, Sarmatians, and Goths, among other nomadic peoples who arrived throughout the first millennium B.C. These peoples were well known to colonists and traders in the ancient world, including Greeks and Romans, who established trading outposts that eventually became city-states. Slavic tribes occupied central and eastern Ukraine in the sixth century A.D. and played an important role in the establishment of Kyiv. Kievan Rus Prince Volodymyr converted the Kievan nobility and most of the population to Christianity in 988. Situated on lucrative trade routes, Kyiv quickly prospered as the center of the powerful state of Kievan Rus. In the 11th century, Kievan Rus was the largest state in Europe. Conflict among the feudal lords led to decline in the 12th century. Mongol raiders razed Kyiv in the 13th century. Most of the territory of what is modern Ukraine was annexed by Poland and Lithuania in the 14th century, but during that time, Ukrainians began to conceive of themselves as a distinct people, a feeling that survived subsequent partitioning by greater powers over the next centuries. Ukrainian peasants who fled the Polish effort to force them into servitude came to be known as Cossacks and earned a reputation for their fierce martial spirit and love of freedom. When Poland was partitioned in the late 18th century, much of modern-day Ukraine was integrated into the Russian Empire. The 19th century found the region largely agricultural, with a few cities and centers of trade and learning. The region was under the control of the Austro-Hungarian Empire in the extreme west and the Russian Empire elsewhere. Ukrainian writers and intellectuals were inspired by the nationalistic spirit stirring other European peoples existing under other imperial governments and were determined to revive Ukrainian linguistic and cultural traditions. Taras Shevchenko (1814-1861), national hero of Ukraine, presented the intellectual maturity of the Ukrainian language and culture through his work as a poet and artist. The Russian Government, however, imposed strict limits on attempts to elevate Ukrainian culture, even banning the use and study of the Ukrainian language. When World War I and the Russian revolution shattered the Habsburg and Russian empires, Ukrainians declared independent statehood. In 1917 the Central Rada proclaimed Ukrainian autonomy and in 1918, following the Bolshevik seizure of power in Petrograd, the Ukrainian National Republic declared independence under President Mykhaylo Hrushevsky. After 3 years of conflict and civil war, however, the western part of Ukrainian territory was incorporated into Poland, while the larger, central and eastern regions were incorporated into the Soviet Union. The Ukrainian Soviet Socialist Republic was officially created in 1922. Ukrainian culture and education flourished during the twenties, but with Josef Stalin's rise to power and the campaign of forced collectivization beginning in 1929, the Soviet leadership imposed a campaign of terror that ravaged the intellectual class. The Soviet Government under Stalin also created an artificial famine (called "Holodomor" in Ukrainian) as part of his forced collectivization policies, which killed millions of previously independent peasants and others throughout the country. Estimates of deaths in Ukraine from the 1932-33 Holodomor alone range from 3 million to 7 million. When the Nazis invaded the Soviet Union in 1941, some Ukrainians, particularly in the west, welcomed what they saw as liberation from Communist rule, but this did not last as they quickly came to understand the nature of Nazi rule. Nazi brutality was directed principally against Ukraine's Jews (of whom an estimated 1 million were killed), but also against many other Ukrainians. Babyn Yar in Kyiv was the site of one of the most horrific Nazi massacres of Ukrainian Jews, ethnic Ukrainians, and many others. Kyiv and other parts of the country were heavily damaged. After the Nazi and Soviet invasions of Poland in 1939, the western Ukrainian regions were incorporated into the Soviet Union. Armed resistance against Soviet authority continued as late as the 1950s. During periods of relative liberalization — as under Nikita Khrushchev from 1955 to 1964 and during the period of "perestroika" under Mikhail Gorbachev — Ukrainian communists cautiously pursued nationalist objectives. The 1986 explosion at the Chornobyl (Chernobyl in Russian) nuclear power plant, located in the Ukrainian SSR, and the Soviet Government's initial efforts to conceal the extent of the catastrophe from its own people and the world, were a watershed for many Ukrainians in exposing the severe problems of the Soviet system. Ukraine became an independent state on August 24, 1991, and was a co-founder of the Commonwealth of Independent States (CIS) following the dissolution of the Soviet Union, although it has not officially joined the organization. Ukraine has a presidential-parliamentary system of government with separate executive, judicial, and legislative branches. The prime minister is appointed by the president with the consent of more than one-half of the parliament. The prime minister, first deputy prime minster, three deputy prime ministers, and cabinet ministers are appointed by the president based on a submission by the prime minister. The Verkhovna Rada (parliament) initiates legislation, ratifies international agreements, and approves the budget. Its members are elected to 5-year terms, with the next Rada election occurring in October 2012. Following free elections held on December 1, 1991, Leonid M. Kravchuk, former chairman of the Rada, was elected to a 5-year term as Ukraine's first president. At the same time, a referendum on independence was approved by more than 90% of the voters. Shortly after becoming independent, Ukraine named a parliamentary commission to prepare a new constitution, adopted a multi-party system, and adopted legislative guarantees of civil and political rights for national minorities. A new, democratic constitution was adopted on June 28, 1996, mandating a pluralistic political system with protection of basic human rights and liberties. Amendments to the 1996 constitution were adopted during the 2004 "Orange Revolution" and took effect in January 2006, shifting significant powers from the president to the prime minister and Rada. On October 1, 2010, the Constitutional Court in a closed-door ruling announced that the 2004 amendments were unconstitutional because procedures used to adopt them violated the constitution. The court reinstated the 1996 constitution, which granted greater powers to the presidency, returning the government to a presidential-parliamentary system. The constitution and laws provide for freedom of speech and of the press, and individuals have been able criticize the government publicly and privately. Following changes in government leadership after the 2010 presidential election, there have been reports that central authorities have attempted to direct media content. While independent and international media have been active and have expressed a wide variety of opinions, government pressure on both independent and state-owned media has caused some journalists and media owners to practice self-censorship on matters that the government has deemed sensitive. There have also been reports of intimidation and violence against journalists by national and local officials. Although private media outlets operate on a commercial basis and have generally operated free of direct state control or interference, private newspapers often depend on their owners (political patrons or oligarchs with government connections) for revenue and have not enjoyed editorial independence. Freedom of religion is guaranteed by law, although religious organizations are required to register with local authorities and with the central government. There is no formal state religion. Minority rights are largely respected in accordance with a 1991 law guaranteeing ethnic minorities the right to schools and cultural facilities and the use of national languages in conducting personal business. However, the Crimean Tatar ethnic minority, which was deported from Crimea under Stalin in 1944, has expressed concern that the government inadequately funds the construction of Crimean Tatar schools for returnees. 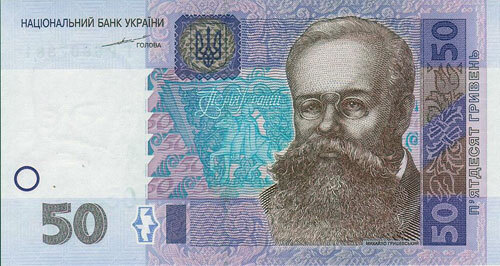 According to the constitution, Ukrainian is the only official state language. In Crimea and some parts of eastern Ukraine — areas with substantial ethnic Russian minorities — local and regional governments permit Russian as a language for local official correspondence. The Crimean peninsula is home to a number of pro-Russian political organizations that advocate secession of Crimea from Ukraine and annexation to Russia. Crimea was ceded by the Russian Soviet Federated Socialist Republic (RSFSR) to the Ukrainian SSR in 1954, in recognition of historic links and for economic convenience, to mark the 300th anniversary of Ukraine's union with Russia. In July 1992, the Crimean and Ukrainian parliaments determined that Crimea would remain under Ukrainian jurisdiction while retaining significant political, economic, and cultural autonomy. The campaign leading to the October 31, 2004, presidential election was characterized by widespread violations of democratic norms, including government intimidation of the opposition, abuse of state administrative resources, and highly skewed media coverage. The two frontrunners — Prime Minister Viktor Yanukovych and opposition leader Viktor Yushchenko — each garnered between 39% and 40% of the vote and proceeded to a second round. The November 21 runoff election was marred by credible reports of widespread and significant violations, including multiple voting by busloads of people, abuse of absentee ballots, and coercion of votes in schools and prisons. Hundreds of thousands of people took to the streets of Kyiv and other cities to protest electoral fraud and express support for Yushchenko, and conducted ongoing peaceful demonstrations during what came to be known as the "Orange Revolution." The Organization for Security and Cooperation in Europe (OSCE) and other independent observers found that the runoff election did not meet international standards for democratic elections. On November 24, the Central Election Commission (CEC) declared Yanukovych the winner with 49.46% compared to 46.61% for Yushchenko. The U.S. and Europe refused to accept the result as legitimate due to the numerous, uninvestigated reports of fraud. On November 27, Ukraine's Rada passed a resolution condemning the election results, and on December 1 it passed a vote of no confidence in the government. On December 3, Ukraine's Supreme Court invalidated the CEC's announced results and mandated a repeat of the second-round vote. An agreement mediated by European leaders resulted in the December 8 passage and adoption of new electoral legislation aimed at closing loopholes that had permitted pervasive electoral fraud. While irregularities were noted during the December 26 re-vote, observers found no systemic or massive fraud. On January 10, 2005, after the CEC and the Supreme Court had considered and rejected numerous complaints and appeals filed by the Yanukovych campaign, the CEC certified the results: Yushchenko had won 51.99% of the votes, with 44.20% for Yanukovych. Ukraine held parliamentary and local elections on March 26, 2006. International observers noted that conduct of the Rada election was in line with international standards for democratic elections. Pre-term parliamentary elections were held on September 30, 2007, and international observers judged this vote to be in line with international democratic standards in an open and competitive environment. The new coalition formed on December 18, 2007 nominated Yuliya Tymoshenko as Prime Minister. Beginning in 2008, the Rada experienced chronic deadlock, which was exacerbated by a feud between Tymoshenko and President Yushchenko. The first round of Ukraine's 2010 presidential election took place on January 17. International and domestic observers assessed the vote as having met most international standards. As no candidate received 50% or more of the vote, the two candidates with the most votes — opposition leader Yanukovych (35%) and Prime Minister Tymoshenko (25%) — progressed to a second-round runoff. The second round took place on February 7 in a vote that observers again assessed as largely free and fair. On February 14, the Central Election Commission announced that Yanukovych had won the election with 49% of the vote, compared to Tymoshenko's 46%. Alleging fraud, Tymoshenko initially appealed, but then withdrew her appeal on February 20 saying that the court would not consider her appeal fairly. Yanukovych was inaugurated on February 25, and on March 11, the Party of Regions, the Communists, the Lytvyn Bloc, and 16 non-aligned members of parliament (MPs) established the "Stability and Reform" ruling coalition in the Rada composed of 235 MPs. Also on March 11, the Rada confirmed President Yanukovych's nomination of Mykola Azarov as Prime Minister and replaced the entire cabinet of ministers. Opposition MPs and others argued the coalition had been formed illegally, as a coalition could only be composed of factions, not individuals. The Constitutional Court of Ukraine ruled on April 8 that the Party of Regions-led coalition was constitutional, stating that individuals MPs do in fact have the right to take part in forming parliamentary coalitions. Ukraine held local elections on October 31, 2010. International and local election observers concluded that overall the elections did not meet standards for openness and fairness. Observers noted shortcomings such as insufficient training for electoral commissions, which contributed to procedural violations and organizational problems. In particular, the registration of fraudulent Batkivshchyna Party candidate lists led to the disqualification of all Batkivshchyna Party candidates in the Kyiv and Lviv oblast council elections, preventing the main opposition party from running for election in regions where it had considerable support. Election observers also reported incidences of law enforcement authorities pressuring monitors and candidates, and election officials selectively barring or removing candidates from ballots. There was a sharp increase in criminal charges brought against opposition politicians after the appointment of a new prosecutor general in November 2010, giving rise to concerns of selective and politically-motivated prosecution by the Yanukovych administration. At the end of 2010 and throughout 2011, prosecutors brought charges against former Prime Minister Tymoshenko and many members of her government for abuse of office and/or misuse of state funds during their tenure. The questioning of charged individuals by government prosecutors, which often lasted for hours at a time over a period of several days, and denial of bail in certain cases, further exacerbated the perception of selective prosecution. However, the government contended that the prosecutions were not targeted toward the opposition, and that there were many ongoing investigations into pervasive corruption on the part of previous and current government officials. Once cases were turned over to the courts, the judges' tendency to deny defense motions, support prosecution motions, and to violate courtroom procedures raised questions about the independence of the judiciary. Tymoshenko's arrest on August 5, 2011 and October 11 conviction for exceeding her powers while in office drew strong international condemnation. She was sentenced to 7 years, ordered to repay the state $188 million, and banned from seeking public office while in prison. Ukraine maintains an embassy (http://www.mfa.gov.ua/usa/en/news/top.htm) at 3350 M Street NW, Washington, DC 20007 (tel. 202-349-2920). With rich farmlands, a well-developed industrial base, highly trained labor force of 20 million, and good education system, Ukraine has the potential to become a major European economy. After a robust 8-year expansion beginning in 2000 that saw real GDP expand 75%, Ukraine's economy experienced a sharp slowdown in late 2008, which continued through 2009. After contracting 15.1% in 2009, GDP bounced back only 4.3% in 2010 and was forecast to grow between 4.5% and 4.7% in 2011. Ukraine's economy remains burdened by excessive government regulation, corruption, and lack of law enforcement, and while the government has taken steps against corruption and small and medium enterprises have been largely privatized, much remains to be done to restructure and privatize key sectors such as energy and to create a market system for agricultural land. President Yanukovych chairs a Committee on Economic Reform, and in 2010 Ukraine developed an economic reform plan for 2010-2014. In December 2010 a comprehensive new tax code was passed by parliament and signed into law, provoking major street protests in Kyiv. The protests forced the government to remove elements that would have expanded the authority of the state tax service, but small businesses continue to report that the new code is more burdensome than the previous system. Ukraine ostensibly encourages foreign trade and investment. Foreigners have the right to purchase businesses and property, to repatriate revenue and profits, and to receive compensation in the event property were to be nationalized by a future government. However, the country's complex laws and regulations, poor corporate governance, weak enforcement of contract law by courts, and particularly corruption have discouraged broad foreign direct investment in Ukraine. While there is a functioning stock market, the lack of protection for minority shareholder rights severely restricts portfolio investment from abroad. Ukraine abounds in natural resources and industrial production capacity. Although proven onshore and offshore oil and natural gas reserves are limited, there is now interest in oil exploration in the Ukrainian portion of the Black Sea as well as prospecting for shale gas. The country has other important energy sources, such as coal, and large mineral deposits, and is one of the world's leading energy transit countries, providing transportation of Russian gas across its territory. Ukraine imports almost 80% of its oil and 77% of its natural gas. Russia ranks as Ukraine's principal supplier of oil, and Russian firms now own and/or operate the majority of Ukraine's refining capacity. Natural gas imports currently come from Russia, Turkmenistan, Kazakhstan, and Uzbekistan, which deliver the gas to Ukraine's border through a pipeline system owned and controlled by Gazprom, Russia's state-owned gas monopoly. Ukraine owns and operates the gas pipelines on its territory, which are also used to transit Russian gas to Western Europe. Ukraine's laws forbid the sale of the gas pipeline network. Strained relations between the two countries over fair pricing for gas caused severe gas supply disruptions for downstream consumers in 2006 and 2009. In April 2010, the Rada ratified the Kharkiv gas-for-basing agreement in which Ukraine agreed to extend the Russian Black Sea Fleet's basing rights in Sevastopol for an additional 25 years (until 2042) in exchange for a $100 per thousand cubic meters (tcm) discount of Ukraine's imports of Russian gas. With the price of gas expected to rise above $456 per tcm by January 2012, Russia and Ukraine were renegotiating the gas contract for a lower price as of late 2011. Both sides had openly pledged to avoid any disruptions of gas supply during the coming winter. Ukraine's economy is heavily dependent on its exports, which make up about 40% of its gross domestic product. While countries of the former Soviet Union remain important trading partners, especially Russia for energy imports, Ukraine's trade is becoming more diversified. The European Union (EU) accounts for about 30% of Ukraine's trade, while CIS countries account for about 40%. Ukraine has a broad industrial base, including much of the former U.S.S.R.'s space and rocket industry. The country has a major ferrous metal industry, producing cast iron, steel, and steel pipe, and its chemical industry produces coke, mineral fertilizers, and sulfuric acid. Manufactured goods include airplanes, turbines, metallurgical equipment, diesel locomotives, and tractors. World demand for steel and chemicals began to recover in 2009 after dropping sharply in the second half of 2008, and Ukraine's suppliers experienced nearly 50% year-on-year export growth at the start of 2011. Steel constitutes nearly 40% of exports. Ukraine is also a major producer of grain, sunflower seeds, and beet sugar. Ukraine introduced grain export quotas in 2010. The distribution of these quotas was highly non-transparent and discriminatory to foreign grain trading companies, which did not receive allocations. Export quotas were replaced by export duties in July 2011. While duties on barley remain, Ukraine eliminated export duties on corn and wheat in October 2011. In July 2010, following extended negotiations, the International Monetary Fund (IMF) approved a second loan package to Ukraine, after an earlier package negotiated in 2008 went off-track. The 29-month $15.2 billion Stand-By Arrangement (SBA) was primarily conditioned on adjustments in fiscal and monetary policy, consumer gas price increases, and pension reform. Disbursement of SBA funds has not taken place since November 2010, due to the Ukrainian Government's delay in enacting pension reforms and its reluctance to move forward on the politically unpopular issue of gas pricing reform. The World Bank has committed more than $7 billion to Ukraine in 38 projects since the country joined the Bank in 1992. Ukraine is a member of the European Bank for Reconstruction and Development (EBRD) and joined the World Trade Organization (WTO) in May 2008. In 2008 Ukraine and the European Union launched negotiations on a free trade agreement. As an interim step to an EU Association Agreement, Ukraine hopes to conclude with the EU a Deep and Comprehensive Free Trade Agreement (DCFTA) as well as an agreement on visa liberalization. Some chapters remain under negotiation. Ukraine faces significant environmental challenges, primarily related to the Chornobyl nuclear power plant disaster in 1986, industrial pollution, and waste management. Despite the government commitment to conservation of natural resources and biodiversity as national priorities, Ukraine ranks 20th in the world for greenhouse gas emissions and is among the European countries with the highest levels of land under plough, energy consumption, water usage, and illegal logging. In accordance with its agreement with the G7 and European Commission in 1995, Ukraine permanently closed the last operating reactor at the Chornobyl site in 2000 and completed all urgent and required stabilization measures of the "sarcophagus" — the concrete shelter hastily built around the damaged reactor by the Soviet Union in the months following the disaster. Construction of a new confinement shelter to be built around the sarcophagus was begun in 2007, with commissioning due in 2014. Ukraine established a pollution fee system that taxes air and water emissions, as well as solid waste disposal, but the derived revenues still are not fully redirected to environmental activities. Under the National Action Plan on Environment Protection for 2011-2015 approved in May 2011, the government pledges to complete the removal and disposal of pesticides and toxic chemicals from air and water by the end of 2012, create automated air pollution monitoring systems in main industrial regions, improve urban water supply and wastewater treatment, and decrease carbon dioxide emissions in the municipal heating sector by 10% by 2015. Ukraine is a party to numerous international conventions and treaties including the Kyoto Protocol and is interested in regional environmental cooperation. Although its commitment to environmental protection and sustainable development lags behind commitments made by its East European neighbors, Ukrainian policy for EU integration is a positive driver for the development of a national environmental policy commensurate with EU environmental standards. After independence, Ukraine established its own military forces of about 780,000 from the troops and equipment inherited from the Soviet Union. Security forces are controlled by the president, although they are subject to investigation by a permanent parliamentary commission. Surveillance is permitted for reasons of national security. Ukraine has stated that it is working to strengthen civilian control of the military, professionalize its non-commissioned officer (NCO) corps, modernize force structure to improve interoperability with NATO, and reduce the number of personnel in the Armed Forces of Ukraine by the end of 2012 to 184,000 people, including 139,000 servicemen. Ukraine has contributed troops and military personnel to missions in Iraq, Afghanistan, the Balkans, the Middle East, and Africa. The Ukrainian Navy consistently provides a ship to NATO's counter-trafficking Operation Active Endeavor on the Mediterranean, and is discussing future participation in the NATO anti-piracy operation Ocean Shield. Since November 1999, Ukrainian peacekeepers, with the support of the United States and other Allies, have been deployed in Kosovo as part of KFOR. Ukraine is also providing two explosive ordnance disposal (EOD) teams and medical officers to Afghanistan and planned to increase the number of personnel to 22 by the end of 2011. Ukraine is currently the lead contributing nation of helicopters to UN peacekeeping operations in Africa, and has contributed over 34,000 "blue helmets" to peacekeeping efforts around the world in the past two decades. In January 2008 Ukraine formally requested a NATO Membership Action Plan (MAP), noting that a final decision on membership would be determined by a national referendum. In April 2008, NATO allies stated that Ukraine would eventually become a member of the alliance and that its request for MAP would be considered at some point in the future. Under President Yanukovych, however, Ukraine passed the Law on the Foundation of Domestic and Foreign Policy, which states that Ukraine is a "non-bloc" state and is not pursuing membership in any defense alliances, including NATO. President Yanukovych has committed Ukraine to pursing close practical cooperation with NATO. The Government of Ukraine has stated that European integration is its top foreign policy priority, and closer ties with the EU are broadly popular in Ukraine. The Yanukovych administration has sought to improve relations with Russia and strengthen its strategic partnership with the United States. As noted above, one of the more significant changes in Ukraine's foreign policy has been the formal adoption of a "non-bloc" policy and abandonment of Ukraine's formal bid for NATO membership. Seeking to expand trade and investment, Ukraine is also reaching out to non-traditional partners, including countries in Asia, the Americas, and the Middle East. Ukraine's relations with the EU have been guided by the Partnership and Cooperation Agreement (PCA) since 1998. In March 2009, the European Council endorsed the Eastern Partnership (EaP) initiative to help the EU's Eastern neighbors (Ukraine, Belarus, Moldova, Georgia, Azerbaijan, and Armenia) undertake political and economic reforms and to bring them closer to the EU. The EaP was launched in May 2009. At the November 2010 EU-Ukraine Summit, President Yanukovych reiterated his desire to conclude an Association Agreement with the EU. The two sides also signed an action plan on visa liberalization at the summit. As of December 1, 2011, all technical negotiations relating to the Deep and Comprehensive Free Trade Agreement (DCFTA) were completed. Ahead of the December 19, 2011 EU-Ukraine Summit in Kyiv, the only outstanding issue concerned the inclusion of a membership perspective for Ukraine in the preamble to the Association Agreement. On January 31, 1992, Ukraine joined the then-Conference on Security and Cooperation in Europe (now the Organization for Security and Cooperation in Europe — OSCE). Ukraine assumed a role in the Chairmanship in Office (CiO) OSCE Troika with Lithuania and Ireland in January 2012 and will assume the OSCE Chairmanship in 2013. Since the election of President Yanukovych, Ukraine has pursued improved relations with Russia. Ukraine's relations with Russia have focused on energy security, natural gas prices, economic cooperation, border demarcation and delimitation, and issues related to the stationing of the Russian Black Sea Fleet in Sevastopol. In January 2009 Gazprom, the Russian natural gas producer, cut supplies to Ukraine. The cutoff developed into a crisis as both the gas supplies intended for consumption in Ukraine and those in transit to the rest of Europe were cut off for nearly a month. Ukraine was able to meet most of its domestic demand with reserves, but consumers in other European countries were left without gas for nearly 3 weeks. A hastily-negotiated agreement was signed with Russia on January 19, 2009, which called for market pricing for gas and transit and the elimination of intermediaries. After Yanukovych's public statements calling for a "just price" for Russian gas imports, the Azarov government signed a sweeping 10-year agreement with Russia on April 21, 2010 to exchange a 25-year extension of the Russian Black Sea Fleet's basing lease in Sevastopol for a discounted price on Russian gas imports. Since then, Ukraine has continued to negotiate with Russia for less expensive gas imports and lobbied for an end to Russia's planned South Stream gas pipeline. Ukraine maintains peaceful and constructive relations with all its neighbors, though there are some unresolved maritime issues along the Danube with Romania. Ukraine co-founded the Commonwealth of Independent States (CIS) on December 8, 1991, but in January 1993 it refused to endorse a draft charter strengthening political, economic, and defense ties among CIS members. Ukraine was a founding member of GUAM (Georgia-Ukraine-Azerbaijan-Moldova), and in February 2009, the office of the Organization for Democracy and Economic Development GUAM was opened in Kyiv. Soviet Ukraine joined the United Nations in 1945 as one of the original members following a Western compromise with the Soviet Union, which had asked for seats for all 15 of its union republics. In 2000-2001, Ukraine served as a non-permanent member of the UN Security Council. Ukraine has consistently supported peaceful, negotiated settlements to disputes. It participates in the five-sided (now "5+2") talks on Transnistria. Ukraine has also advocated a return to democracy in neighboring Belarus and criticized the December 2010 post-election crackdown in Belarus. The dissolution of the Soviet Union in December 1991 brought an end to the Cold War and created an opportunity to build bilateral relations with the New Independent States (NIS) as they began a political and economic transformation. On December 25, 1991, the United States officially recognized the independence of Ukraine. It upgraded its consulate in the capital, Kyiv, to embassy status on January 21, 1992. The U.S. ambassador to Ukraine is John Tefft, the seventh U.S. ambassador since Ukrainian independence. The United States attaches great importance to the success of Ukraine's transition to a democratic state with a flourishing market economy. Ukraine's democratic "Orange Revolution" led to closer cooperation and more open dialogue between Ukraine and the United States. The United States granted Ukraine market economy status in February 2006. In March 2006, the United States terminated the application of the Jackson-Vanik amendment to Ukraine, providing Ukraine permanent normal trade relations status. The United States and Ukraine signed a new Trade and Investment Cooperation Agreement (TICA) on April 1, 2008. The TICA established a forum for discussion of bilateral trade and investment relations and will help deepen those relations. U.S. policy remains centered on realizing and strengthening a democratic, prosperous, and secure Ukraine more closely integrated into Europe and Euro-Atlantic structures. In December 2008, the United States signed the U.S.-Ukraine Charter on Strategic Partnership. The Charter highlights the importance of the bilateral relationship and outlines enhanced cooperation in the areas of defense, security, economics and trade, energy security, democracy, and cultural exchanges. The Charter also emphasizes the continued commitment of the United States to support enhanced engagement between NATO and Ukraine. To fulfill one of the key tenets of the charter, Vice President Joseph Biden and President Yushchenko established the Strategic Partnership Commission during Vice President Biden's July 2009 visit to Kyiv. The commission's first meeting took place December 9, 2009 in Washington, its second meeting took place in Kyiv on July 2, 2010 in conjunction with Secretary of State Hillary Clinton's visit to Ukraine, and its third meeting took place in Washington on February 15, 2011. Secretary Clinton and Ukrainian Foreign Minister Kostyantyn Gryshchenko are the co-chairs of the Commission. A cornerstone for the continuing U.S. partnership with Ukraine and the other countries of the former Soviet Union has been the Freedom for Russia and Emerging Eurasian Democracies and Open Markets (FREEDOM) Support Act (FSA), enacted in October 1992. Ukraine has been a primary recipient of FSA assistance. Total U.S. assistance since independence has been more than $4.1 billion. U.S. assistance to Ukraine is targeted to promote political, security, and economic reform and to address urgent social and humanitarian needs. The U.S. has consistently encouraged Ukraine's transition to a democratic society with a prosperous market-based economy. For more detailed information on these programs, please see the annual report to Congress on "U.S. Government Assistance to and Cooperative Activities with Eurasia," which is available on the State Department's website at the following address: (http://www.state.gov/p/eur/ace/). In December 2009 Ukraine completed a 3-year $45 million Millennium Challenge Corporation (MCC) Threshold Program agreement. This program aimed to reduce corruption in the public sector through civil society monitoring and advocacy, judicial reform, increased government monitoring and enforcement of ethical and administrative standards, streamlining and enforcing regulations, and combating corruption in higher education. Information is available on the MCC website at the following address: (http://www.mcc.gov/). The U.S. Embassy in Kyiv is at 10 Yuriy Kotsyubynsky Street, 01901 (tel. (44) 490-4000). The Embassy's website is (http://ukraine.usembassy.gov/).